Follow these links to check out some of my published writing! 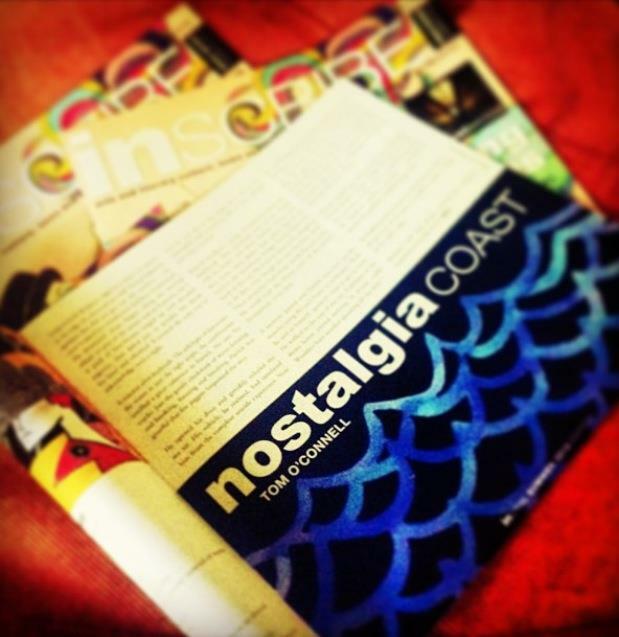 ‘Nostalgia Coast’ – n-Scribe Issue Seven. Image by Emma Wiesenekker. Thanks! High accolades indeed! I’m so chuffed you took the time to read what is perhaps my most inaccessible story (in terms of its nonlinear narrative and the fact that, with Crack the Spine‘s PDF format, it’s impossible to directly link to it). Really appreciate it. Personalised rejections are rare, so they must have really valued your submission to take the time. I’ve found Crack the Spine publishes some fairly eclectic stuff, so it’s hard to advise on what they’re looking for. Good luck if you choose to submit again, though (and, by all means, you should!). Is any of your fiction available to read online? It’s accessible and it’s awesome. You manage to create a subtle yet honest and heartbreaking depiction of family relationships — while being creepy no less. 🙂 I will say Crack the Spine does make it a little difficult to read the archives. Anyway, I think I’m just going to have go for it again and throw something new their way. So far, I’ve really only had success getting flash fiction accepted (I did have one long story accepted last year, but the journal that accepted it is now defunct, unfortunately). Gravel published one of my stories earlier this year and Saturday Night Reader is supposed to publish another one later this month.